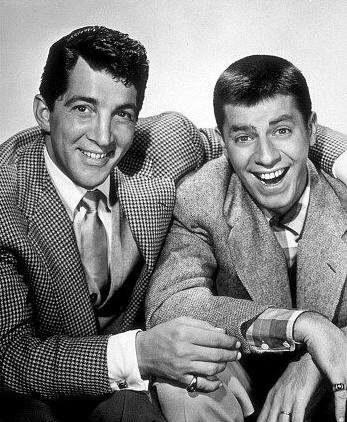 The mainstream media missed a glorious opportunity to honor one of the great humanitarians of the last 100 years: Jerry Lewis. Instead it focused on his manic antics, his outrageous humor, his stint with Dean Martin in the long-running Martin and Lewis Show, with precious little ink spilled over his lifelong support of the Muscular Dystrophy Association (MDA). For example, in its 3,200-word obituary the New York Times called Lewis a “jester,” “silly,” and “stormy,” and that was just in its headline noting his death on Sunday. The Times said he was “a mercurial personality who could flip from naked neediness to towering rage.” When it came to his 67-year support of the Muscular Dystrophy Association, the paper spent just 63 words, total, in noting his work for the MDA. Muscular dystrophy (MD) is a ghastly disease, affecting one male out of every five thousand (800 male babies are born with the disease every year in the United States), with symptoms showing up around age four. There is no known cure. At age 24, Lewis, still a struggling comedian performing in nightclub acts, found time to join the nascent MDA in 1950. In 1952, he hosted his Jerry Lewis Thanksgiving Party for MDA, which ran through 1959. He picked it up again in 1966, calling it the Jerry Lewis MDA Telethon, and was the national chairman of the charity until 2010, when he was 84. The MDA Telethons would run for 21-and-a-half hours straight, beginning the Sunday night before Labor Day and ending Monday afternoon. Over that period, Lewis raised an astonishing $2.6 billion for the MDA. In 2008 alone, his telethon raised $65 million, nearly half of MDA’s annual budget. In 1952, Lewis inaugurated the first MDA poster child, Michael Danna, along with others in subsequent years, who were referred to as “Jerry’s Kids.” Perhaps the best known was Mattie Stepanek, who served as MDA’s national goodwill ambassador from 2002 until his death in 2004. Stepanek wrote the best-selling poetry series Heartsongs and appeared on Oprah; Good Morning, America; and Larry King. Millions were touched by Stepanek’s poetry, which he started writing at age three, despite his disease. In 2016, when Lewis turned 90, he authored a video voicing once again his support of the MDA. It was his last public appearance before he died. The Times and others in the mainstream media may have called Lewis a jester, a clown, a maniac, and perhaps they were right. But they missed the most important point of all: He was a humanitarian of heroic proportions, leaving a legacy vastly more important to millions than his efforts to make them laugh. This entry was posted	on Tuesday, August 22nd, 2017 at 5:19 am	and is filed under History. You can follow any responses to this entry through the RSS 2.0 feed. You can leave a response, or trackback from your own site.